North Belfast Harriers aims to embrace a philosophy of disclosure and fosters an attitude of openness and integrity (Nolan Principles). This document explains the North Belfast Harriers “Conflict of Interest Policy” and attempts to deal with the issue in ways that are fair to Committee Members and employees and enable the organisation toe function while protecting integrity and providing unbiased advice. Conflict refers only to personal, established interest of the individuals covered by this policy and their immediate families, and not to philosophical or professional differences of opinion. 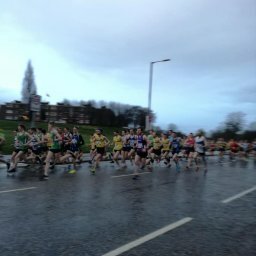 •	Compensation in the form or fees or salaries if such payment results directly or indirectly from the Committee Member or employee’s work with North Belfast Harriers. •	Sisters and their spouse/partner. It is the policy of North Belfast Harriers that no Board Member or employee while serving as an Officer of the organisation will take personal advantage of his or her role by allowing a situation to exist that may be construed as a conflict of interest. In addition, North Belfast Harriers intends to ensure with reasonable prudence that no Board Member or employee creates the appearance of realising financial gain of any nature or amount from North Belfast Harriers actions. It is also the intent of North Belfast Harriers to carry out activities in accordance with the highest ethical standards. Adoption of this Policy is, therefore, a reaffirmation of North Belfast Harriers intent that those holding appointed leadership positions practice the highest ethical standards and give undivided loyalty to the organisation and its goals. Any activities which do not serve the best interest of North Belfast Harriers or which favour the personal advantage of another person or organisation is inconsistent with the duties and responsibilities owed to North Belfast Harriers. 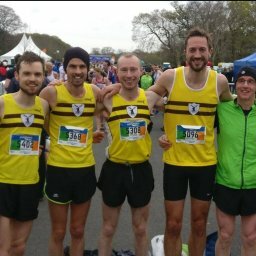 North Belfast Harriers is committed to maintaining an honest, open and well-intentioned atmosphere within the organisation. It is therefore also committed to the elimination of any fraud and to the rigorous investigation of any such cases. 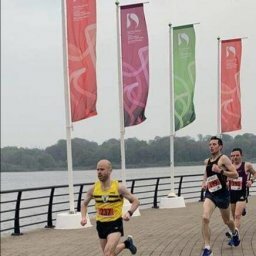 Committee Members and employees of North Belfast Harriers should therefore not engage in any conduct or activity that might reasonably be interpreted as tending to adversely affect the performance of their duties. What is a relevant interest? An interest should be declared if an individual considers it relevant to their duties and that there is therefore a risk of it being reasonably perceived as biasing their decisions while conducting their duties. The test is whether “an external observer, knowing the facts of the situation, would reasonably think that the person might be influenced by the interest”. It is not possible to provide a comprehensive definition of circumstances that necessarily give rise to a conflict of interest, but the following are examples of situations giving rise to perceived conflict of interest. The list is not exhaustive, and in any situation where an individual is uncertain as to the propriety of a given arrangement, advice may be sought from the Club Chairman. •	A financial interest held by an individual (or by his or her immediate relative/s or household member/s) in an organisation. Examples of such interests are paid consultancies, paid service on a board of directors, director/shareholder in an enterprise from which North Belfast Harriers buys a service. •	Any relationship with a named organisation with which North Belfast Harriers might do business. Such interests would include: ownership, part-ownership, directorship, shareholder etc. Individuals are not expected to quantify the extent of a financial interest, merely the fact that one exists. The presumption is always in favour of declaring an interest. On joining North Belfast Harriers the following individuals are required to complete a declaration of interest form (Annex A) and submit the original to the treasurer. Forms will be circulated and must be completed on an annual basis. In addition, as circumstances change, individuals must update their statements by informing the secretary within 28 days of becoming aware of the change. Individuals will be required to complete declaration of interest of interest forms on an annual basis. This should take place after the AGM or whenever the individual takes office. The Chairperson of the meeting will be identified as a facilitator for conflict issues. It shall be his or her responsibility for conducting the process detailed below. The Treasurer will be identified as the alternate facilitator to act when the facilitator is unavailable or in a position of conflict his or her self. At the beginning of every meeting, the facilitator will ask whether any individuals present perceive a possible conflict of interest on any of the agenda items for themselves or for any other individuals. The facilitator will use his or her judgement and decide if the declaration actually constitutes an interest in the planned business of the meeting. If viewed by the facilitator that a conflict exists, the individual will be precluded from participation in any discussion of the issue (whether oral or written) and in decision-making. The individual will be excluded from the portion of the meeting for which there is conflict by being asked to leave the meeting when the item may then be discussed. The facilitator should ensure all details of conflict raised are recorded in the minutes of the meeting. All employees/board members must update their declarations on an annual basis via the attached form mentioned in 5.2. Once completed must be recorded on the register of interests by the Treasurer. The Treasurer will maintain a database of interests and provide a referral service in relation to Board Members and employees. It is hereby certified that this document represents a true and most up to date version of the Conflict of Interest Policy for North Belfast Harriers. This form is to be completed by all Committee Members and employees of North Belfast Harriers and returned to treasurer@northbelfastharriers.com Where no interests are to be disclosed, please state “Not Applicable”. This forms relates solely to interests of the above named person. For their partners or close relatives, where the interest is deemed to be relevant, please complete Section B below. I declare that, to the best of my knowledge and belief, the information I have given in this form is truthful, accurate and complete. I undertake to notify the North Belfast Harriers in writing of any changes to this information within 28 days of any such change. I undertake to ensure that, subject to approval of this Declaration, the interests that I have disclosed will not detrimentally affect my ability to carry out my duties as North Belfast Harriers Committee Member/employee. In making this declaration I consent to the information contained in it being available for inspection in the Register of Interests for North Belfast Harriers.